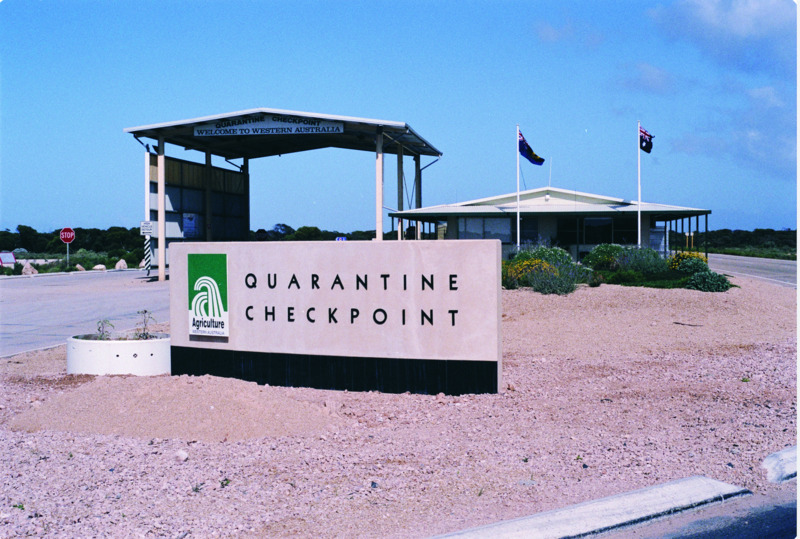 The Department of Agriculture and Food, Western Australia's (DAFWA) Quarantine WA service operates border checkpoints as a first line of defence against incursions of unwanted pests, weeds and diseases, which could arrive on freight, cargo and other items brought in from interstate. 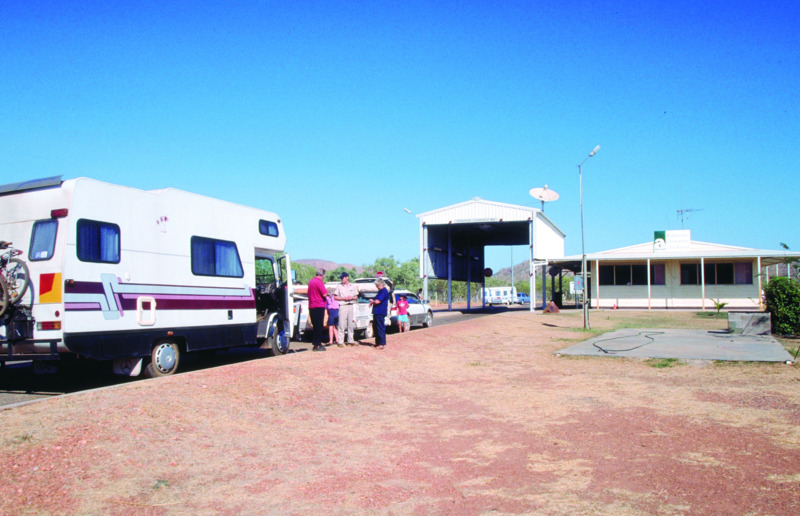 Road checkpoints at Kununurra and Eucla operate 24 hours a day throughout the year. Help us to protect WA from pests, weeds and diseases which could arrive on items you are carrying from interstate. Please place risk items in a quarantine bin or hand them to a quarantine inspector. Under biosecurity legislation private travellers must declare all organisms and potential carriers to Quarantine WA immediately on arrival at a checkpoint. Commercial transporters must declare to Quarantine WA 24 hours prior to arrival via the 'notice of intent to import', which can can be downloaded from this page. People moving their personal household items to WA should complete an 'unaccompanied personal effects declaration' in liaison with their chosen furniture removalist company. This form can also be downloaded from this page. For general enquiries call Quarantine WA on +61 (0)8 9334 1800. Some animals (mammals, birds, reptiles and amphibians) are prohibited entry into WA, while others can only be imported and kept under permits or licences which impose conditions. 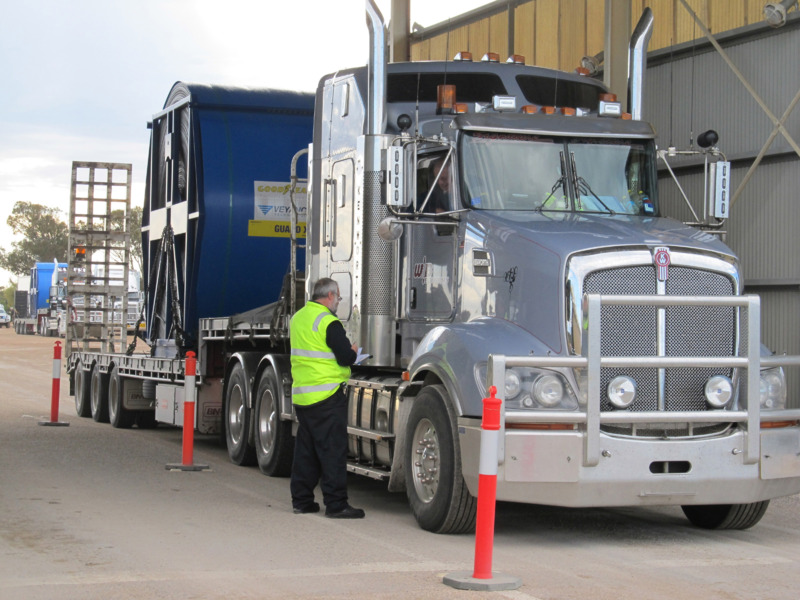 At the Eucla and Kununurra road checkpoints, vehicles and animals are inspected 24 hours a day. On other border roads, random mobile inspections are conducted. At Perth Domestic Airport inspections are done in the quarantine area of the air cargo building during business hours. At regional airports inspections take place in the baggage area on arrival of the aircraft. Quarantine WA inspectors, or nominated air cargo staff, check all consignments for quarantine risk material such as straw, seed, soil and fruit in animal containers. In addition, inspectors check all but a small list of familiar animals to confirm the species and ensure that appropriate permits or licences are in place. 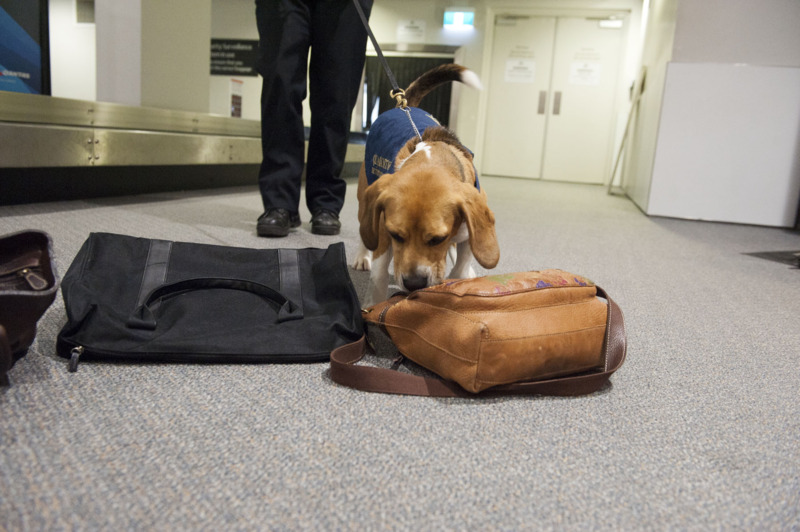 At the Perth Domestic Airport if an animal other than livestock requires inspection, the air cargo company will advise you to arrange an inspection by contacting Quarantine WA on +61 (0)8 9334 1800. The animal will be held in the quarantine area until cleared by an inspector. A delay may occur if an inspector is doing other inspections off-site. You must arrange transport of your animals so they can be inspected during business hours, even if arriving at a different time. You are responsible for your animals' welfare while they await inspection. Animals arriving outside business hours will be held in appropriate facilities until inspected during business hours. An inspection usually takes between 15 and 30 minutes, depending on the action required. The inspector will take a photograph of the animals to email to the Department of Parks and Wildlife (DPaW) for identification, and issue a notice directing you to contact DPaW at an appropriate time and location. If there is quarantine risk material present you will be directed to put it in an amnesty bin or issued with a notice to take it to a registered quarantine facility. Your animal will then be released to you unless the officer receives further direction. Please note it is an offence not to comply with these notices. When importing livestock into Western Australia, various inspection fees and laboratory testing costs may apply. Charges exist to maintain the quarantine inspection facilities at Kalgoorlie and Kununurra and enable year-round, on-call service at the entry inspection points. For livestock arriving at the Perth Domestic Airport formal notification of arrival must be made to Quarantine WA. For livestock arriving via road checkpoints, notification must be made to the stock inspector located nearest the entry point. See DAFWA importing livestock web page for more information.